WHY PAY MORE? Manufactured by WINDLASS. 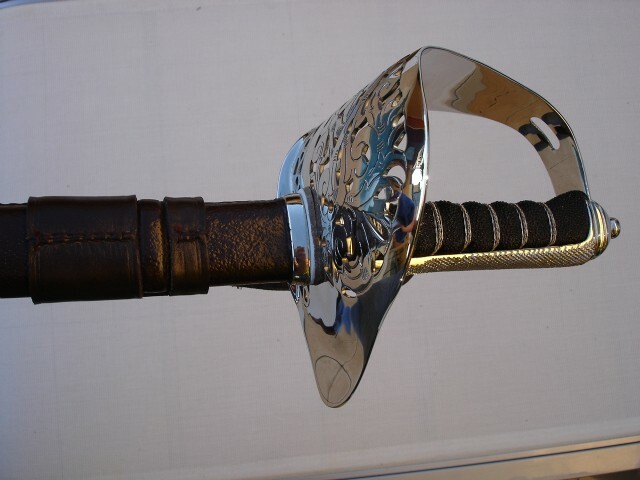 Made from top quality fully tempered high carbon steel or stainless steel, nickel plated fittings and guard with etched blade and quality dark tan leather scabbard. 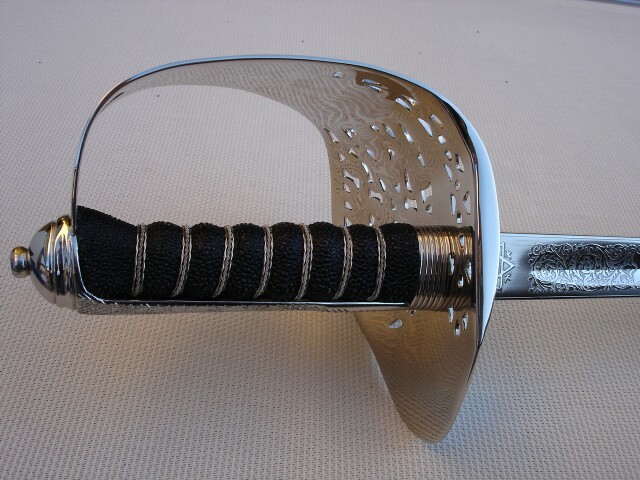 If you purchase a sword buy a matching sword frog for only $50.